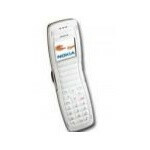 Announced back in June 2004, the 2650 entry-level model from Nokia promised interesting design with just a few most important features. At that time, we were not aware of a US version of the device. Recently, FCC has approved the same phone, but now with support for the North American frequencies of 850 and 1900 MHz. The device has just a slightly different model number  2651, but is actually exactly the same. If you are expecting feature rich device, just stop reading. Nokia 2651 has just the minimal set of features to operate  WAP 1.2.1, Java, T9 and 4-voice polyphonic ring tones to name the major ones. Nevertheless, the design of the phone makes up somewhat for the lack of features. Currently, it is unknown which provider will carry the device or what the price will be.